This article covers how to create a private event, and notes about how private events work. 1. Create an event in the Lounge of a group, either from the Feed or from the Events tab. 2. Enter all your event details, choose This is a Private event at the bottom, and click Create. 3. 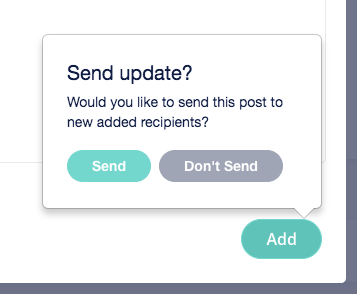 After you've created the event, open it and click on Invite members. 4. 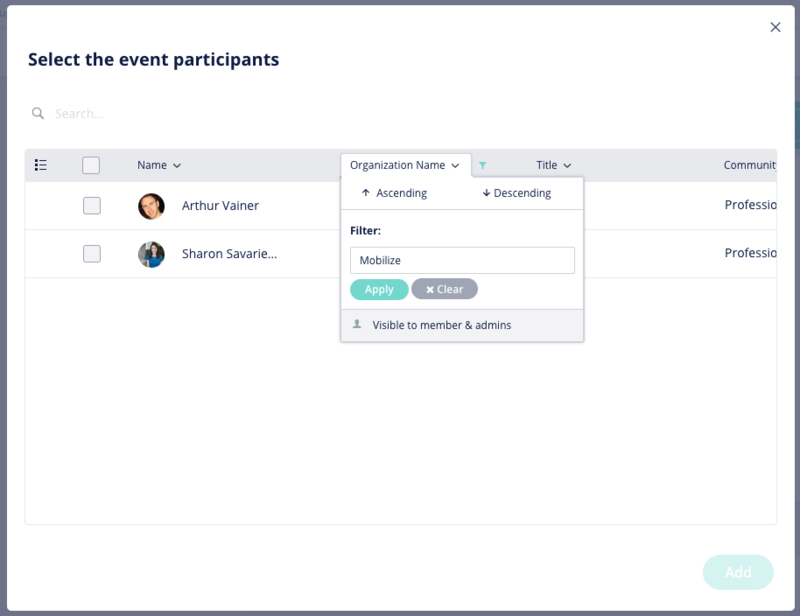 Your database will pop up, where you can filter by your tags or use search to find specific members, and select them, and click Add to invite them to your event. 5. 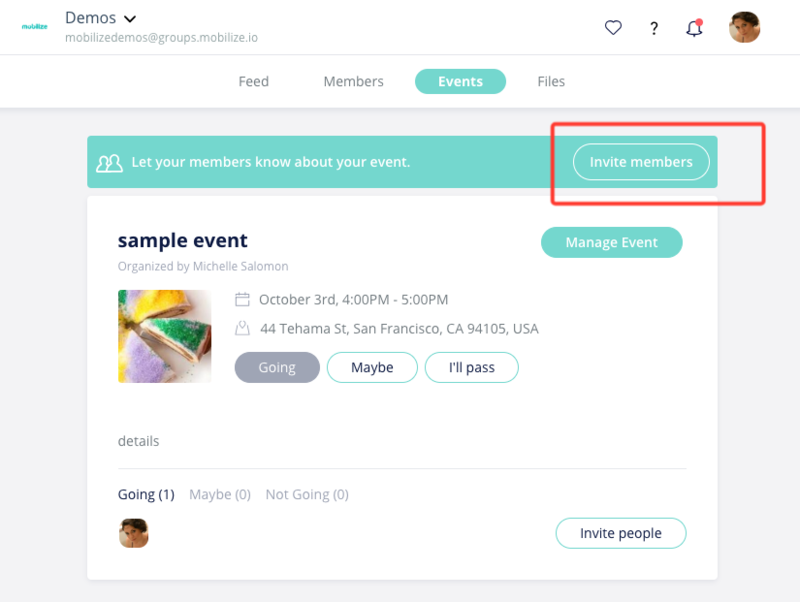 When you invite your selected members to your private event, you can either Send the invitation to their personal calendar and email, or you can not push it by clicking Don't Send, and the event will be listed in the Events page of the platform and the Feed on the mobile app for that member. They won't be notified about it. When first create the event, no one will be invited yet.